Vibrant Cerezo in a snow wonderland. The second victory in this season with the first goals by Ken Tokura and Atomu Tanaka for their new club. The official temperature that was announced after the match was 3.6 Celsius (38.48°F). 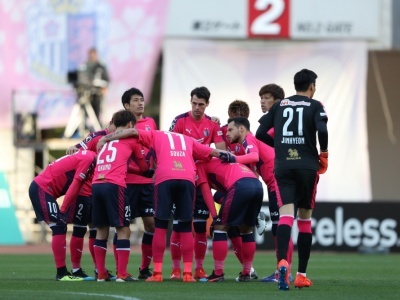 Cerezo faced the away match versus Vegalta Sendai in out-of-season snow, and into 2nd minute, from left side, they developed their attack to the right side. 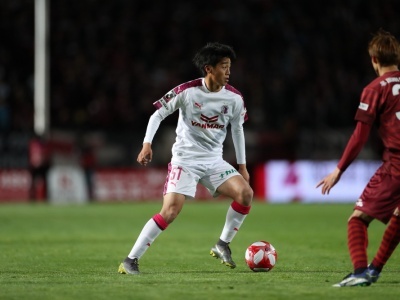 Eiichi Katayama decoyed himself by overlapping, then Riku Matsuda made a cross and threaten Sendai’s goal, also in 3rd minute, Yoichiro Kakitani intercepted a pass and approached to the goal with dribbling. However, although they had the good start, Cerezo made some pass errors and the flow turned to Sendai’s way. In 7th minute, from Sendai’s free kick, Cerezo allowed Shun Nagasawa a heading-shot, and in 15th minute a pass from Hiroaki Okuno to Yasuki Kimoto was too short, then the ball was robbed by Ramon Lopes and allowed him to take a shot. It was a critical moment, but denied by GK Kim Jin-hyeon’s fine save. Also in 18th minute, Kim’s goal kick was received by the opponent, and allowed Nagasawa to make another shot. However, after Cerezo managed to survive the frantic period with a clean sheet, they drew the flow back to them again. In 30th minute Souza’s powerful midrange shot hit the crossbar, and in 32nd minute Hiroshi Kiyotake, Yusuke Maruhashi and Yasuki Kimoto broken into the left side and approached to the goal. Then, in 35th minute, Cerezo succeeded with their opening goal. Started from Souza, they developed into right side. Then, to Kakitani to Katayama to Matsuda, they played a triangle shape and captured right side. Kakitani dropped a perfect soft pass to Matsuda who ran from behind. Matsuda cleared Sendai’s 3 backs and calmly received the ball, moved forward by himself then sent the ball carefully into the centre to Ken Tokura who struck the ball with his right foot. The ball hit the GK’s hand and shook the back of the net dynamically. As he said before the match with his determination ‘Without the FW’s execution, we will never win’, the number 9 made his debut goal after the transfer to the club, and Cerezo was leading 1 goal up by end of the 1st half. Into the 2nd half, the snow flakes were getting bigger and started settling on the ground. Cerezo was struggle by Sendai’s push. And the player who made the break was Hiroaki Okuno who has just left Sendai and transferred to Cerezo. Although he didn’t join in attack, kept the ball firmly. Using his body, he broke the flow that was waving towards the opponent. Also, the manager Lotina made an action at this stage of inferior. In 67th minute, he sent Atomu Tanaka as a substitute to Kakitani. ‘Keep ball’ and ‘Put firm pressure at defence’. It was Tanaka, the number 32’s debut match for the league in this season, he was entrusted to calm the team down and strengthen the defence, then quickly supplied the ball with his fast play. In 72nd minute, Okuno won the ball from Sendai’s centre back at high spot, and Cerezo made a short counter attack. Kiyotake sent a careful pass to in front of Tanaka who struck the ball calmly and sent the ball through to the Sendai’s goal. All the players joined Tanaka who was running towards the bench, and cerebrated all together. It was the additional goal after the endurance of the hard time. Cerezo who now grabbed the subtleties of the game wouldn’t give any more chance to Sendai, and kept their firm defence. They had more chances by Kimoto and Tanaka towards the end, and showed their hunger to earn the 3rd goal. 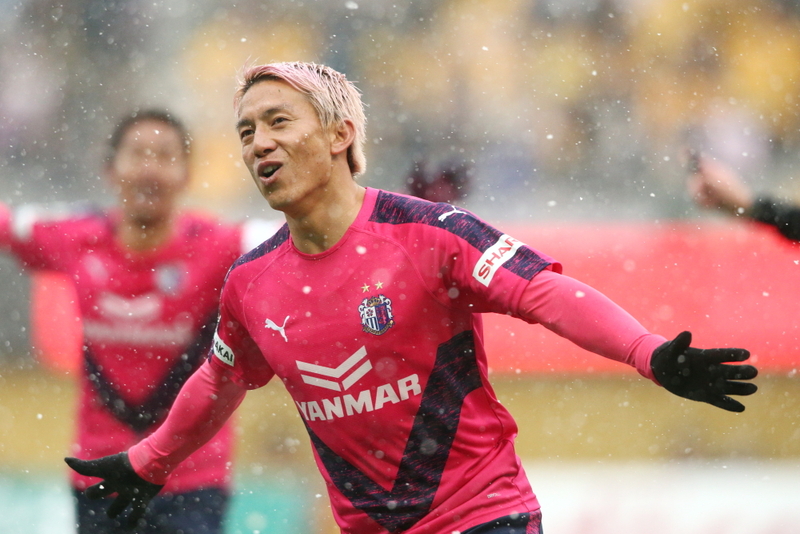 Cerezo was vibrant in the snow wonderland that was quickly developed by continuous snow and they had to switch the ball to a coloured ball after the 2nd goal because of the white ground. 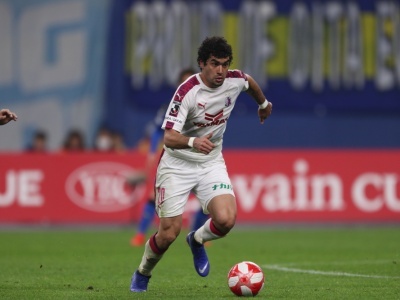 Under Miguel Lotina who says ‘It’s important to have a good training and increase the chance of winning’, it was Cerezo’s valuable 2nd victory of this season that showed the contents of improvement.